There’s a strong, vibrant formal tradition in hip hop: the story rhyme. Rather than the bragging and boasting of many raps, in a story rhyme the MC presents a narrative – a street update of Ovid or Homer if you want to get hifalutin about it. Traced back by some to “The Message” by Melle Mel, few would dispute that it reached some sort of a peak with Slick Rick’s first album, and was carried forward by the likes of Biggie and Eminem. It also had a profound influence on rap in the UK, with artists like Roots Manuva using the form to represent themselves and their city in a myriad of new ways. Kate Tempest is best known as a poet, perhaps a performance poet or a spoken word artist. She has a novel coming out next year with Bloomsbury. But ask Kate what she is and she’s more likely to say she’s a rapper who writes. That’s her first love. Listen to her voice, her cadences, the accent, and you’ll hear more of Skinnyman than Seamus Heaney, a veteran of Deal Real’s legendary Friday night rap battles but also someone at home doing a book reading at Foyles. Kate Tempest understands the story rhyme, loves it. Which is why Everybody Down is something like a “novel rhyme” – twelve ‘chapters’ telling one long, complex story, a unique, one-off project, almost unique in the history of the form. Dan Carey aka Mr Dan is one of the UK’s best known and most highly-rated producers. He’s worked with or remixed Bat For Lashes, Toy, MIA, Chairlift and Hot Chip (and just about everyone in between). When the two met, Carey invited Tempest to come through to his South London studio to muck about on a track or two. In a burst of intense creativity, they put down the whole twelve track album in a fortnight having spent almost a year developing the characters and story. The result is a revelation. Tempest takes the tropes of the hip hop story – drugs, money, gangsters – and brings them to life in a whole new way, a London way, but also a completely personal way, where she inhabits the different characters and shows the boredom and fear in their lives rather than some faked glamour, shows more than anything their need for love. 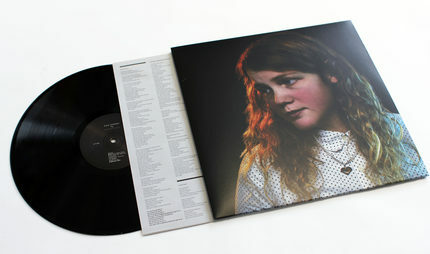 Kate Tempest has released records on Greco-Roman and Speedy Wunderground and for a long time fronted the band Sound Of Rum (Sunday Best). She won the Ted Hughes Poetry Prize for her play “Brand New Ancients,” which led The Guardian to describe her as “one of the brightest talents around.” Her forthcoming novel for Bloomsbury features the characters and the world built in Everybody Down, with a chapter correlating to each track. But it’s here on this stunning, sustained piece of work, where each track works on it own, that music fans will hear beyond doubt just what a talent she is.